Don Brophy writes "While searching for a Lyman, Everett Foster happened across an aricle in WB on MacKenzie Cuttyhunks. Upon falling in love with the lines and construction method, Everett purchased a 23' Mackenzie, sight unseen, and trucked it to the Thousand Islands where restorer Don Brophy replaced the bottom and the transom. 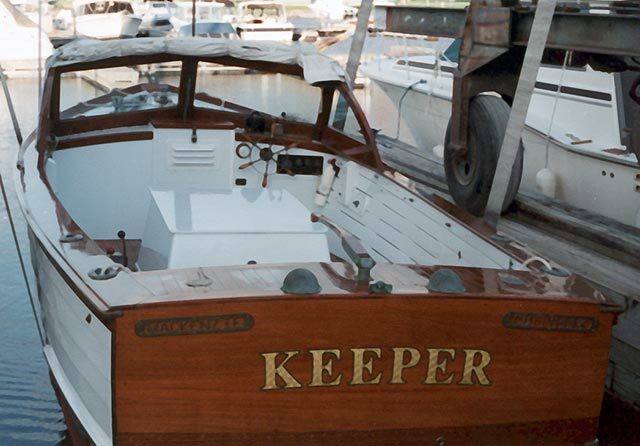 KEEPER is believed to be the first MacKenzie boat on the St. Lawrence".